Hebrew Union College Press is proud to announce the forthcoming publication of Jewish Culture in Early Modern Europe: Essays in Honor of David B. Ruderman, which celebrates the illustrious and influential career of one of the foremost scholars in the fields of Jewish Studies and early modern intellectual history. 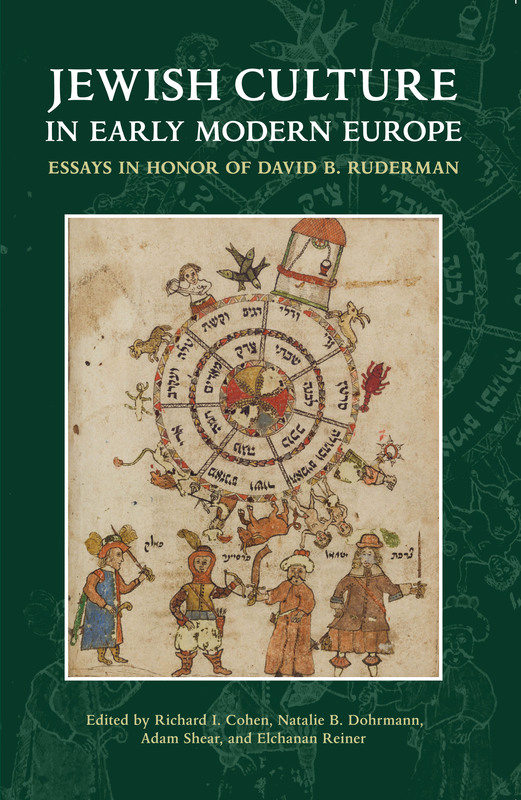 David B. Ruderman’s groundbreaking studies of Jewish intellectuals as they engaged with Renaissance humanism, the Scientific Revolution, and the Enlightenment have set the agenda for a distinctive historiographical approach to Jewish culture in early modern Europe, from 1500 to 1800. From his initial studies of Italy to his later work on eighteenth-century English, German, and Polish Jews, Ruderman has emphasized the individual as a representative or exemplary figure through whose life and career the problems of a period and cultural context are revealed. Thirty-one leading scholars celebrate Ruderman’s stellar career in essays that bring new insight into Jewish culture as it is intertwined in Jewish, European, Ottoman, and American history. These studies present a rich and nuanced portrait of a Jewish culture that is both a contributing member and a product of early modern Europe and the Ottoman Empire. Click here for full description and purchasing information.